I’ve tried several color patterns in the Bay Rat Long Shallow and Slash Rat series this year. Many of the color patterns will work and have definitely had their awesome days on the water. Two color patterns have emerged as the top producers and have caught dozens and dozens of multi pound trout this year. The first pattern that started to really shine was the Brown Trout pattern in the Bay Rat Long Shallow “Glow” series. This 4 3/8'“ shallow diving lure caught fish on its first day out and has been every day since. It's a great hand painted pattern that has fished great as far down as 100’. It fished so well I started to look for similar Long Shallow finishes and decided to give the Goby pattern a try out as well. Turned out, the Goby pattern Long Shallow was dynamite and has turned into a top producer as well. I also ordered some of the same patterns in the Slash Rat series and found them to be very effective as well. I use a small duo lock snap to attach the Bay Rat Lure to my PLine 15# fluorocarbon leader and will often use a small bead chain swivel 6’-7’ above the Bay Rat which attaches to the 20 lb leader I have spliced into my 30 lb. Power Pro braid line. People are always asking what size leader I use and are often surprised when I tell them 15#. I’ve heard endless stories about the big fish people have broken off using 6 lb. to 8 lb. leaders and I just shake my head. I’ve guided clients into over 100 big browns and rainbows this past year and only one was lost to a leader break and that was because of a frayed leader from a big fish with sharp teeth. There's no reason to hunt for big fish if you think you need a light leader to catch them. Big trout are not line shy, at least on the lakes I fish here in the Redding, Ca. area. When we hit that 15+ pound brown, I’m not losing it to a light leader break. I’ve fished these Bay Rat Lures both shallow and deep and can say they work at every level. I like to run them side by side at the same depth and normally use two patterns. Rarely will I use two Goby or two brown trout patterns at the same time. The trout have a choice with both Bay Rats running in close proximity to each other and sometimes that makes a big difference in the number of bites you will see in a day. Like I mentioned earlier, I’ve used several other colors and most have produced fish. 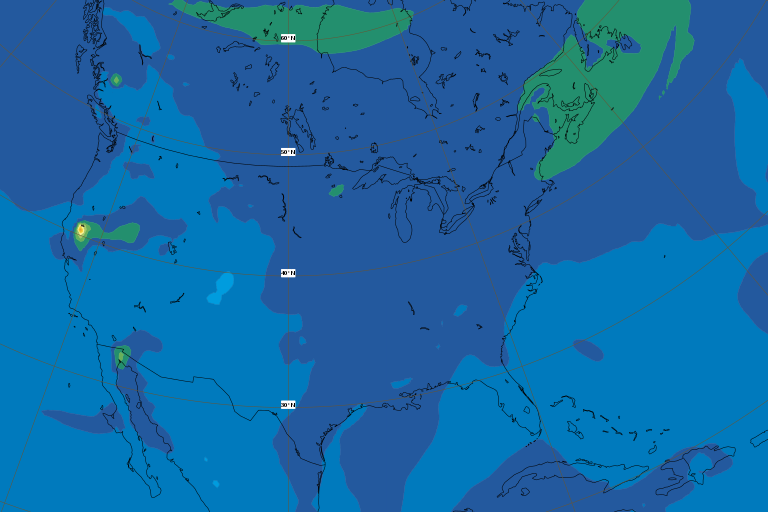 There seems to be periods when a loud pattern like the Fire Tiger Long Shallow or Slash Rat will really get a bite going so get a variety of colors, so stay flexible and fish more than just the brown trout and gobies. Many people ask me what kind of scents I’m using. I prefer to use Atlas Mikes Gel and Fuzion scents over all others and really think the flavor comes down to personal preference. 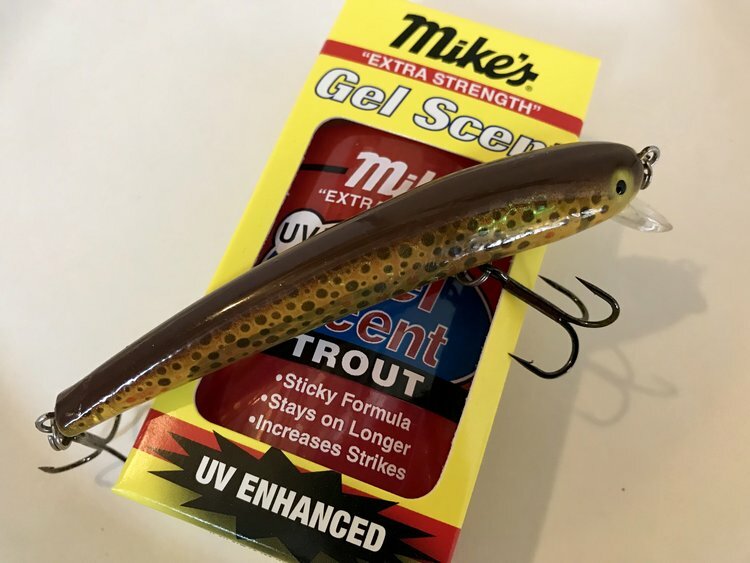 Atlas Mikes makes a variety of trout scents and they seem to do the trick for me. As much as I enjoy using the gel, glo, or Fuzion scents, I always try to keep the Bay Rats clean after a day's use. I think its important to keep your plugs clean whether your running them with or without scent. Dirty lures don’t catch as many fish as clean lures do in my opinion. To finish this article, I think it's important to emphasize that the majority of the fish you will catch on the Bay Rats will be above average size. I would say 90% of the fish that hit these lures were all multi pound trout. It became so clear that these were big fish lures, I briefed my clients after we set lines about the probability of the big fish hitting the lines on the downriggers. Seldom was I wrong. This brings me to my last suggestion for those of you that start fishing the Bay Rats. Change the hooks on these lures before fishing them if you intend on fishing waters that hold big trout. 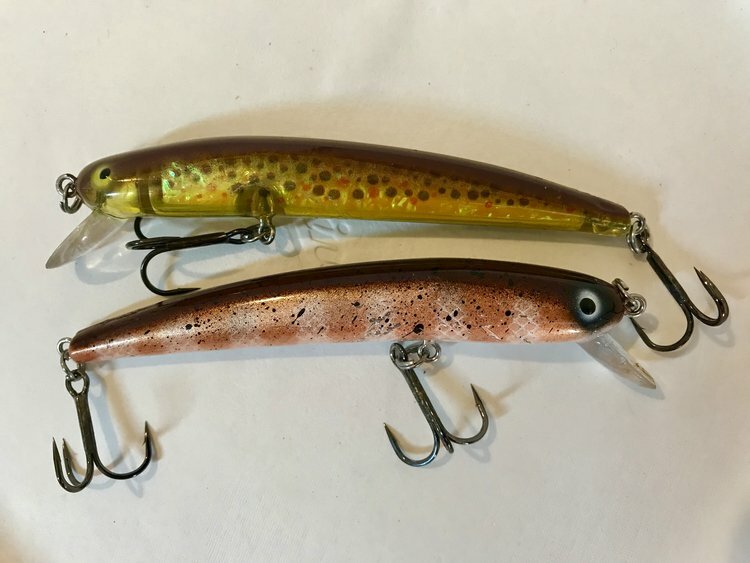 The Bay Rats come with super sharp, high quality hooks, but if you get into a big brown that fights hard on its way to the boat, you’re going to need a stronger pair of treble hooks. Big fish will straighten the hooks that come with the Bay Rats. Often the bigger fish will go for the head on these lures and will get hooked with the belly hook. As these fish make hard runs and roll or jump, they will leverage the bodies of the Bay Rats to bend these hooks which can result in them coming un plugged. 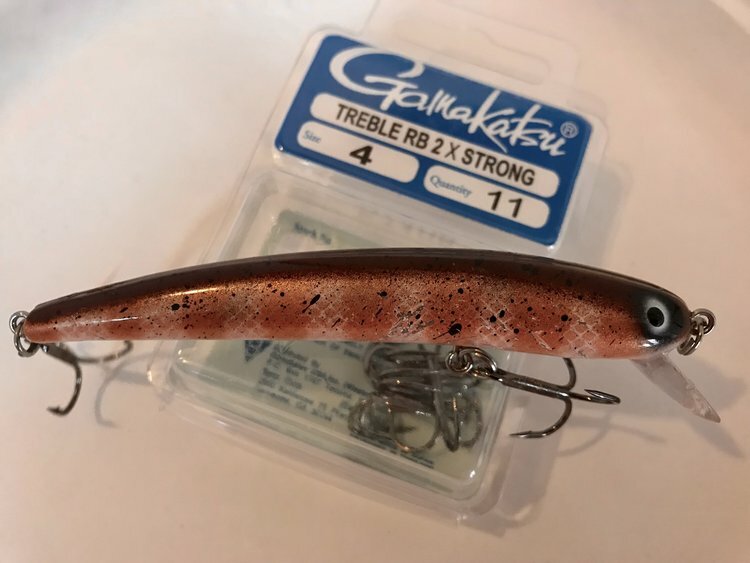 I change out the stock treble hooks and put on #4 2X Gamakatsu treble hooks. These are just tough enough to withstand just about every fish we’ve hooked after changing them out. I’ve been getting the word out and am hoping our local west coast tackle stores will keep these awesome lures in stock this coming fall season. Ask your local tackle retailer if they will stock them and let them know you’ll be buying some. Once the word gets out, I'm sure they will get tired of the inquiries and get some in their stores. In the meantime, you can order them online at bayratlures.com or contact James@bayratlures.com if you have questions before ordering. 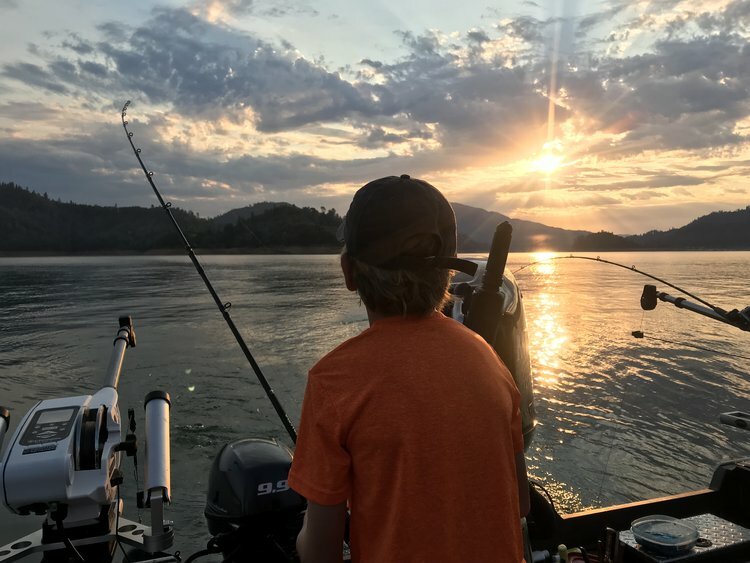 thanks for reading this article and if you have any questions for me, please feel free to email me at jgoodwinguideservice@yahoo.com or visit my website at jeffgoodwinfishing.com and fill out the information on my contact us page. Tight lines!